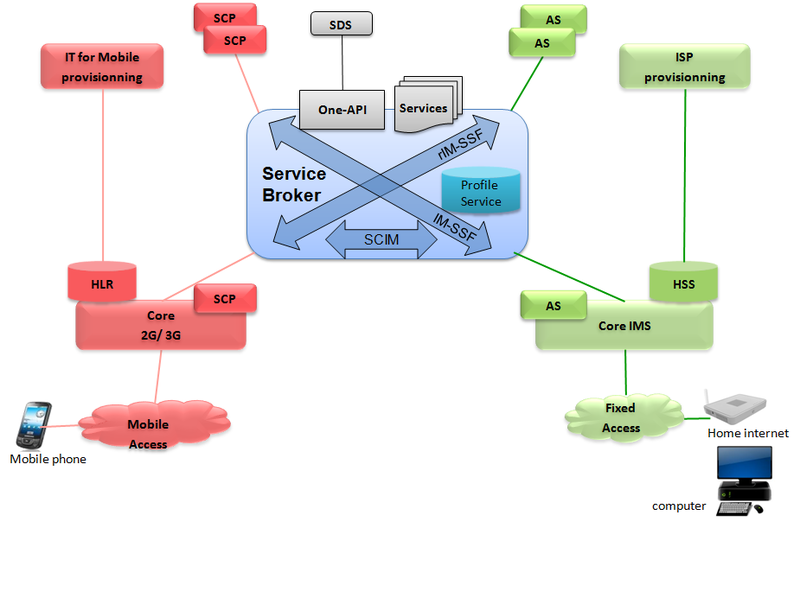 We know that Service broker is a service abstraction layer between the network and application layer in telecom environment.SB( Service Broker ) enables us to make use of existing applications and services from Intelligent Network’s SCP ( Service control Point ) , IMS’s Application Server as well as other sources in a harmonized manner . The service provider can combine the services from various sources written in various languages in numerous permutations and combinations . This saves the time , energy and rework required to launch a new services. I have written couple of posts before on Service Broker .Post on What is Service Broker . It definitions and application can be found here : https://altanaitelecom.wordpress.com/2013/03/19/service-broker/. This also defines service orchestration and harmonization . Another post on Service Borker’s role and function can be found here : https://altanaitelecom.wordpress.com/2013/08/07/service-broker-2/. 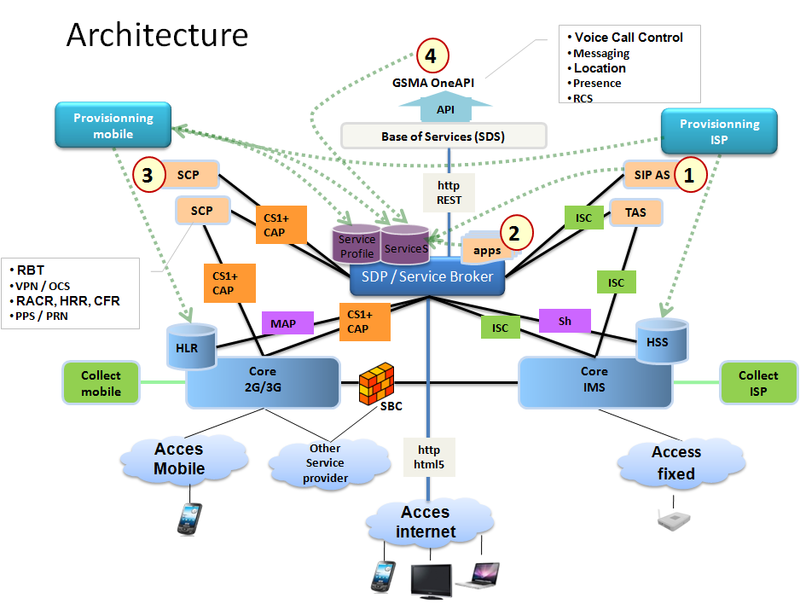 This mentions the service brokering role in network environment. But ofcourse it was a mere introduction . The following post clarifies the concept in greater light . 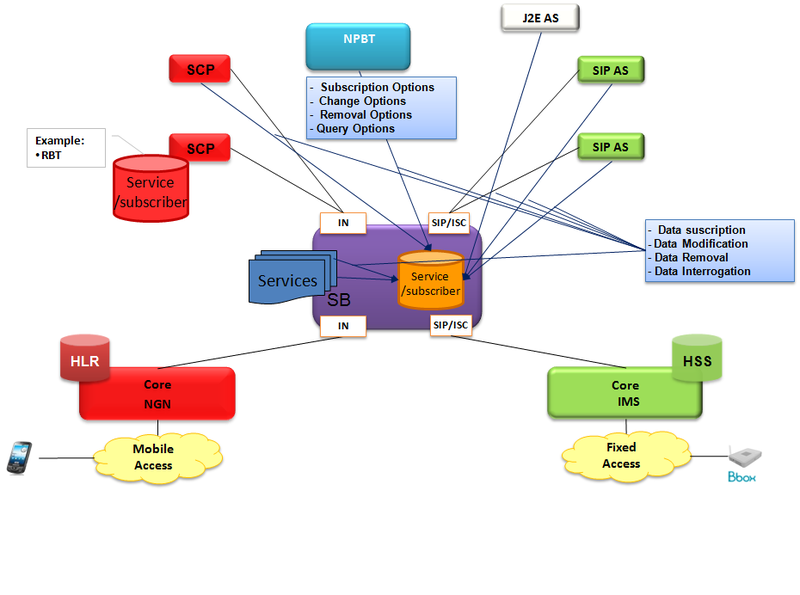 I believe and it truly is a wonderful thing to make use of Service Broker while network migration from IN to IMS .The following architecture model depict the placement of Service Broker component in IN and IMS integrated environment . 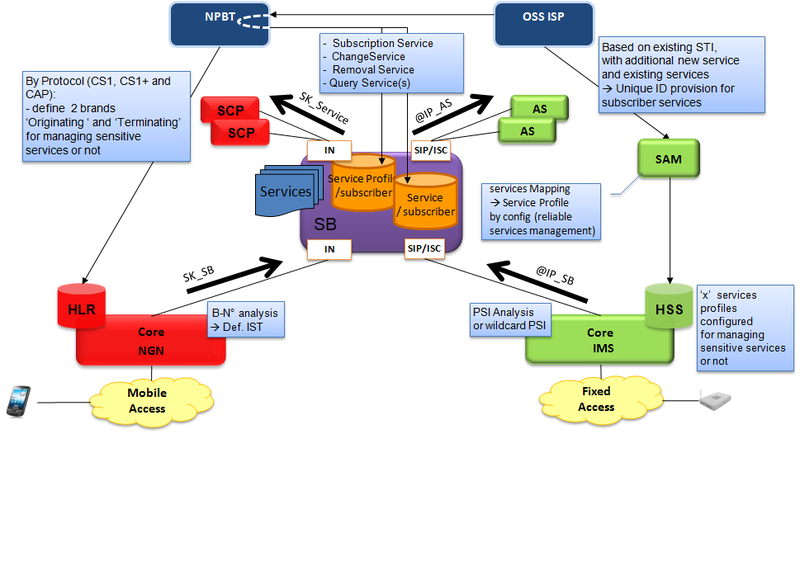 The figure above portrays how a service provider acts as a central Node for Services invocation and services composition. SB is responsible for Services Orchestration / Interaction , service development, third party integration and acts like a protocol gateway . 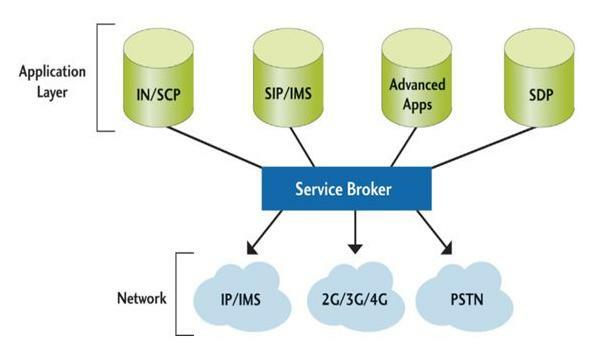 Let us discuss service broker in a full fleshed network’s structure . It includes the access network components and detailed core network components with the name of interfaces between all nodes. Call Control API for voice. Messaging API for SMS, MMS.